Br Peter Somers SM was a man noted especially for his simplicity and kindness. He died just a month after he announced casually to his community that he was going to see the doctor about a melanoma he had had removed a few days before. The doctors did their tests and informed Peter that the cancer was quite advanced and very aggressive. Peter opted to go into palliative care. Peter was the middle of five children in the family of Leo and Vera Somers, nee Mitchell. He received his education at St Columba’s, North Leichhardt and the Christian Brothers, Balmain. Serious bronchial conditions and asthma, which plagued Peter the whole of his life, were particularly bad during his childhood and adolescence and affected his schooling. On leaving school in 1955 Peter began work with the Postmaster-General’s Department, delivering telegrams around the Rozelle/Balmain area of Sydney. In his late teens Peter did his military National Service followed by weekend bivouacs in the Citizen Military Forces. Peter’s great interest in those days was in motors and in tinkering with cars. In mid-1960, at 20 years of age, Peter applied and was accepted as a Brother in the Society of Mary. He began novitiate as Br Matthew on 1 January 1961. His desire was always to work as a brother in the Oceania mission. Following his profession, Br Matthew worked as a general hand on the Marist farms at Glen Davis and Toongabbie for a year each, and on the Armidale novitiate farm for four years. During these years he pursued his interest in machinery, doing tech and other courses in petrol and diesel engine maintenance, as well as welding courses. Br Matthew applied for the Oceania missions in May 1966 and left, on loan from Australia, for the Solomon Islands in early 1968. His first appointment was to the plumbing shop at Buma and then he was moved to St Martin’s, Tenaru. After 3½ years he returned to Australia, resumed his work on the farm at Armidale, always intending to return to Oceania and the Solomon Islands when he could. Br Matt did return to the Solomons Islands in mid-1972. For the next eight years he was stationed at St Martin’s (Tenaru), Aruligo Plantation (Guadalcanal) and NAC (Tenaru). At the beginning of ‘79 Matthew was transferred to St Joseph’s, Tenaru, where he looked after maintenance of the school plant and equipment. Working side-by-side with religious from other branches of the Marist family, the Marist teaching brothers and the Marist Missionary Sisters, this was a happy and fulfilling time for Matthew. However, it was a time of upheaval and unrest in the Solomon Islands when the local people sought independence and to be free of their colonial past. Tensions were increasing in society and work visas for expatriate missionaries became more difficult to get and renew. The coup in June 2000 effectively signalled the end for ex-pat missionaries. Matthew left the Solomons at the end of 2000. After a brief renewal period in New Zealand, he moved to the Marist complex at Tutu on Taveuni Island (Fiji). Here Matthew was associated with the Marist novitiate and also helped the young Fijian couples involved in the Training Centre programmes. Matthew helped teach typing and accounting. During his years in Fiji, the heat and humidity affected Br Matthew’s asthma condition considerably, forcing a return to Australia. Coming back to Sydney in 2005, Matthew reverted to his original name, Br Peter Somers. For the next ten years, from Oceania House, Rocher Street, Hunters Hill, Peter gave tremendous help to many Oceanian confreres who found themselves in Sydney. Picking them up at the airport and driving them to appointments, for example, Peter showed wonderful hospitality to all. Gentleness, patience and kindness are the human qualities we associate with Peter Somers. Prayerfulness and simple faith are the religious qualities we associate with Peter. He joined the nearby Maryvale/Montbel community in early2016, where he lived until his final illness. 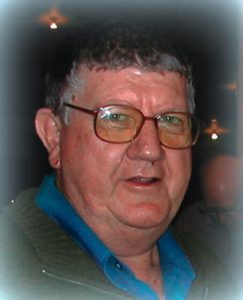 Br Peter died in Royal North Shore hospital, Sydney. May he rest in well-deserved peace. Thanks to Fr Robert Barber SM, Provincial of Australia, for this tribute to Br Peter.